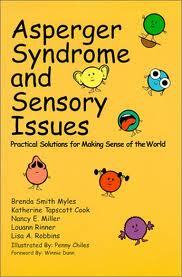 Asperger Syndrome and Sensory Issues: Practical Solutions for Making Sense of the World by Brenda Smith Myles, Katherine Tapscott Cook, Nancy E. Miller, and Louann Rinner. This book uncovers the puzzling behavior by children and youth with Asperger Syndrome (AS) that have a sensory base and, therefore, are often difficult to pinpoint and interpret. Pp. 129. This entry was posted in Behavior Modification, Our Library and tagged Autism Spectrum Disorder, behavior modification, books, sensory issues. Bookmark the permalink.